SSO Valor has worked with distinction as a police horse in Florida for 14 years. SSO Valor is a shining light among off-the-track Thoroughbreds, forging a long and impressive career in law enforcement. Now, his efforts have been recognized with an award from the US Jockey Club’s Thoroughbred Incentive Program. The scheme was created to encourage the retraining of Thoroughbreds into other disciplines after their racing or breeding careers were over. It offers incentives for competition horses, recreational horses, young riders and Thoroughbreds in a non-competitive second career, as well as running a Championship horse show. The program this week anounced the 2017 winners of its two non-competition awards – the scheme’s Thoroughbred of the Year Award and its Young Rider of the Year Award. The Thoroughbred of the Year Award recognizes a Thoroughbred who has excelled in a non-competitive career, such as equine-assisted therapy or police work, and includes a $US5000 grant to the non-profit organization associated with the horse or, if no organization is associated with the horse, to a horse-related charity chosen by The Jockey Club. SSO Valor, who is registered as Raja’s Best Dancer, is this year’s winning Thoroughbred. 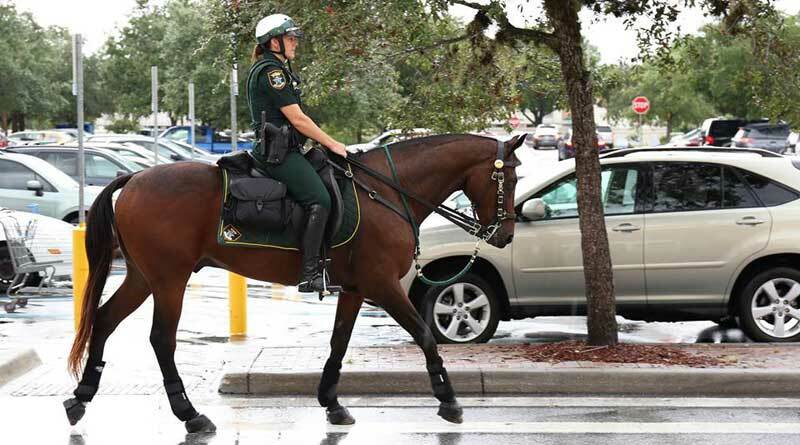 He is a 23-year-old gelding who serves as a police mount with the Sarasota County Sheriff’s Office in Florida. Valor has been a member of the police force for 14 years. He has worked every large event in Sarasota County and has been involved in crowd control at a Super Bowl, numerous college football games, and a Republican National Convention. After Hurricane Irma, Valor helped with crowd control outside retail shops. “Valor has served with distinction his entire career at the sheriff’s office, and everyone who has worked with him has been honored and thankful to do so,” said Sergeant Chris Laster, supervisor of the Sarasota County Sherriff’s Office Mounted Unit. Brenna Tento with Joe: She enjoys the versatility of the Thoroughbred. The young rider award, which recognizes a rider 18 or younger who owns or leases a Thoroughbred for use in 4-H, Pony Club or other activities, and includes a $US5000 prize, was split between two riders: Brenna Tento and Sydney Standing. Tento, 16, lives in Harleysville, Pennsylvania. She competes in the children’s and Thoroughbred hunters with her Thoroughbred Scatter Creek, also known as Joe. Tento plans to use the funds from her award to pay for horse show and travel expenses to competitions, including the New Vocations Charity Show and T.I.P. Championship Horse Show, in which she competed this September at the Kentucky Horse Park in Lexington.